On 06th March 2008, AM at ship in DR 24˚ 12’ S 083˚ 46’ E, the azimuth of the star ALTAIR was 078˚(C) when chron showed 10h 38m 40s. 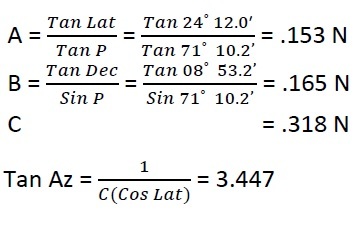 If the chron error was 03m 24s FAST and variation was 3˚W, find the deviation for the ship’s head. 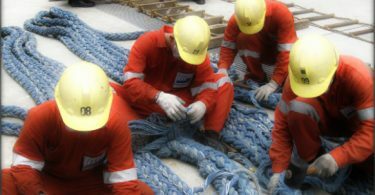 Working is very similar to that of azimuth- Sun, except that GHA Ȣ and SHA * have been used, which can be taken from the nautical almanac. On 30th Nov 2008, PM at ship in DR 48˚ 57’ N 173˚ 18’ W, the azimuth of the star VEGA was 296˚(C) when the GPS clock showed 07h 39m 22s. If variation was 1˚E, calculate the deviation of the compass. On 01ST May 2008, AM at ship in DR 62˚ 11’S 179˚ 58’ E, the azimuth of the star SPICA was 312˚(C) when the GPS clock showed 13h 00m 08s. 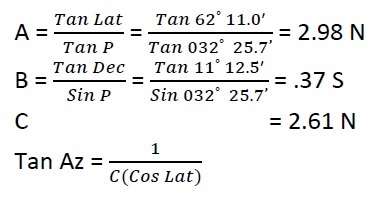 If variation was 10˚E, calculate the deviation of the ship’s head. On 13th Sept 2008 at ship in DR 30˚ 46’ N 090˚ 36’ W, the star RASALHAGUE bore 275˚(C) at 04h 36m GMT. 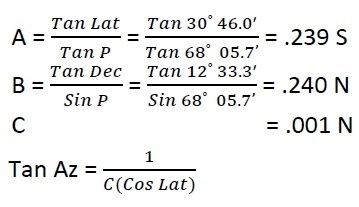 If variation was 05˚W, calculate the deviation of the compass. On 21st Jan 2008 at 0320 ship’s time, in DR 64˚ 12’ N 112˚ 18’ E, the azimuth of the star DENEB bore 034.5˚(C). 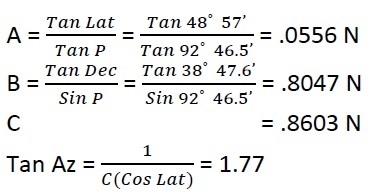 If variation was 4˚E, and the ship’s time was 7h ahead of GMT, find the deviation. I found a very usefull.